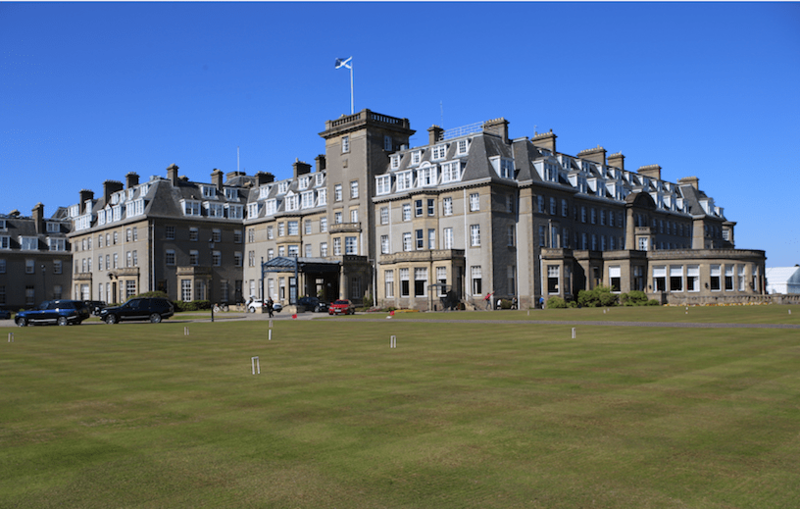 Gleneagles is promising visitors a return to the days of decadence when it unveils the makeover of its famous Strathearn restaurant next month. A design transformation by its in-house creative team at London’s Ennismore Design Studio is one of the final stages in the hotel’s refurbishment by the company since it acquired the Perthshire retreat in 2015. Inspired by the golden age of railway travel, the owner says the new-look restaurant, which has welcomed a host of famous faces over the decades, from The Queen to Sir Laurence Olivier, will bring back the glamour of fine dining experiences of the 1920s and 1930s. The creation of a mosaic-floored orangery will offer views of the estate and the Ochil Hills across the seasons. A new kitchen-style breakfast servery will also double up as an occasional private dining space – breathing fresh life into the area that housed Gleneagles’ kitchen in the 1920s. The Strathearn will be overseen by Restaurant Manager, Daniel Greenock, who has moved home to Scotland having honed his craft at Marcus Wareing’s Michelin-starred restaurant at the Berkley Hotel and the world-renowned three Michelin-starred Eleven Madison Park in New York. The kitchen brigade – led by Head Chef, Jason Hardcastle, Executive Sous Chef, Richard Dalgleish, and Executive Pastry Chef, Phil Skinazi, and overseen by Executive Chef, Simon Attridge – will be creating the restaurant’s menus. Heading up the wine programme, Advanced Court of Master Sommelier, Jean-Marie Contestin – who formerly managed the wine programmes at the two Michelin-starred Gidleigh Park and Le Pont de la Tour in London – will oversee a wine list that has doubled in size to 700 wine labels. There will also be a choice of over 100 single malt whiskies on the menu. Sharan Pasricha, CEO of Gleneagles and Ennismore, said: “As one of the final strands of our three-year design transformation, the renovation of The Strathearn restaurant was always going to be one of the most important phases of all. After years of meticulous planning, 12 months of interior design work and four months of careful renovation, we can’t wait to unveil the beautiful new look in May. “Originally known simply as ‘the Dining Room’, the restaurant has been a destination for decadent dining and lively celebrations since Gleneagles first opened nearly 100 years ago. It’s been cherished by generations of guests, so we didn’t want to radically change the fabric of the space or the spirit of the experience.